A couple of months ago my son accidental dropped my blender, and it shattered. It was a normal, decent blender. It did an ok job, but I wasn’t willing to just get ride of it to get a new one. 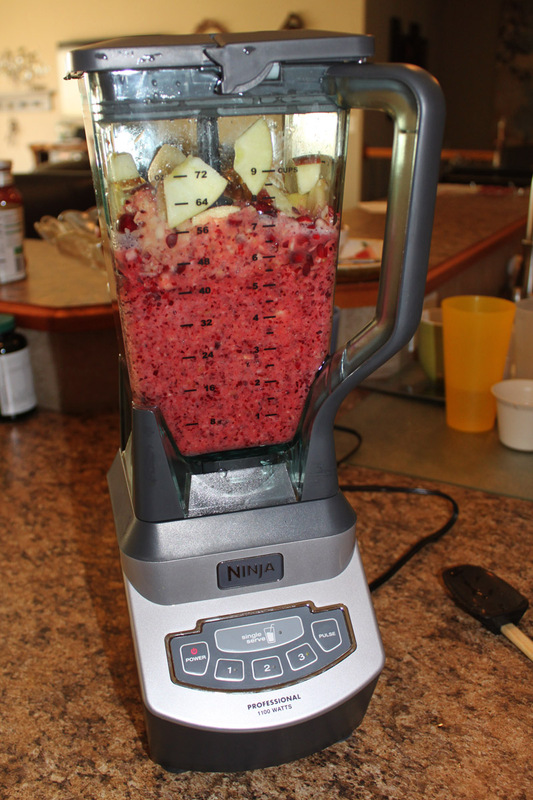 But when it shattered, I had the opportunity to get a high-powered blender. I decided on a Ninja that also has individual cups to make one smoothie at a time. JV loves smoothies and he has been using it a lot. I have started making Green Smoothies, and it has worked well. I know a Vitamix might do a better job at making a smoothie out of spinach or kale but it works, and cost less. Well, today I decided to make my Homemade Cranberries for Thanksgiving. I decided to try the Ninja. My old blender never would have been able to grind these fruits. I just threw in one pound of cranberries, three oranges and three apples. I turned it on, and it started working. 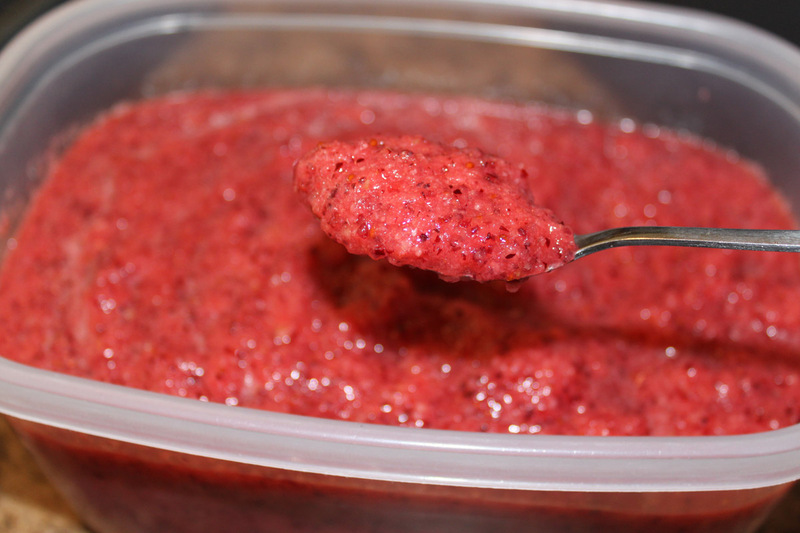 A nice, smooth cranberry sauce for our Thanksgiving table. I am now thankful that JV dropped my old blender. I am thankful for my Ninja. 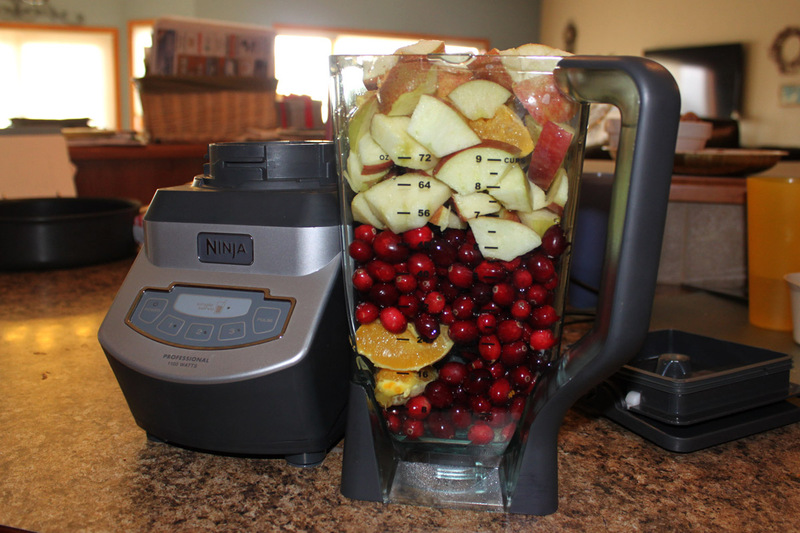 Do you have a high-powered, commercial blender? Which one? What do you use it for?